How do you measure your family’s love for Minions? Is it by how many minion shirts your kids own? If it is my minion figures, then they might be in the running for loving them the most. One of my daughter’s first words was minion, she has a deep love for these funny little guys and their ways of talking. Running around the house saying “Beedo Beedo,” is almost a daily occurrence. Since these little guys entered our lives, suddenly blue and yellow is the most common color combination in our house. My 18-month-old wants everything to look like a minion, so I have gotten a lot of practice in giving everything goggles. We have already pre-ordered our movie, so we can just pick it up on December 8th and we are so excited, we are already planning on our movie night. These delicious parfaits are sure to be the star of our movie night. 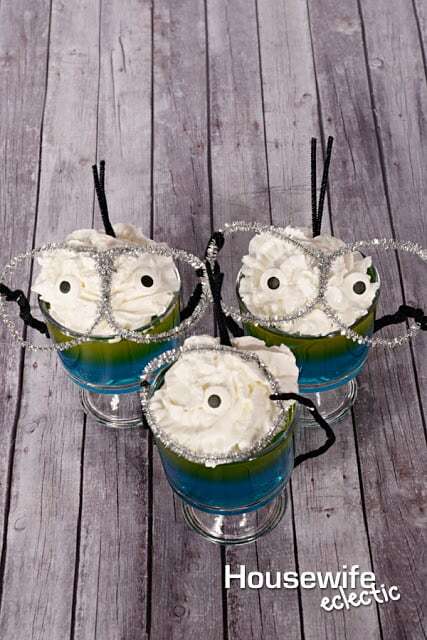 Gelatin combined with whipped cream and fun googles to wear when you are done? How does it get any better than that? Mix up the blue gelatin according to the package directions. This is typically means to stir the gelatin with one cup of boiling water until it is dissolved. After everything is dissolved add a cup of cold water and then place in small dishes to set. 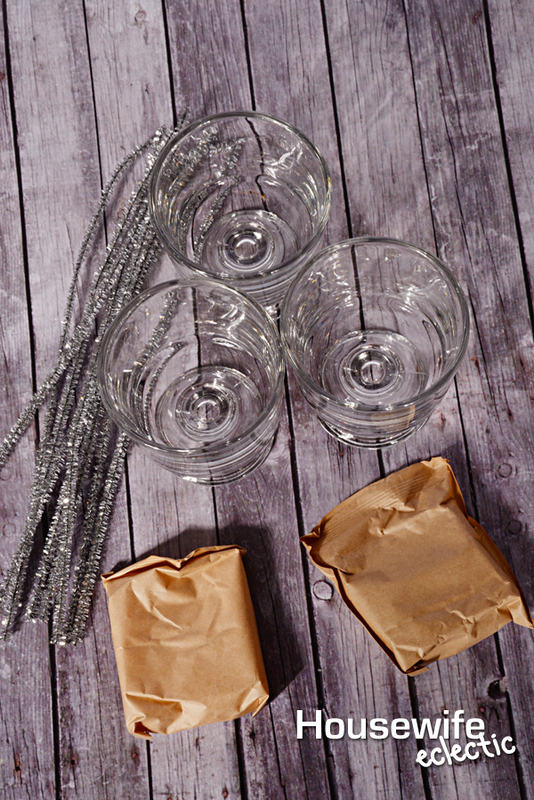 This turns out the cutest in clear dishes, but you can use whatever you have. 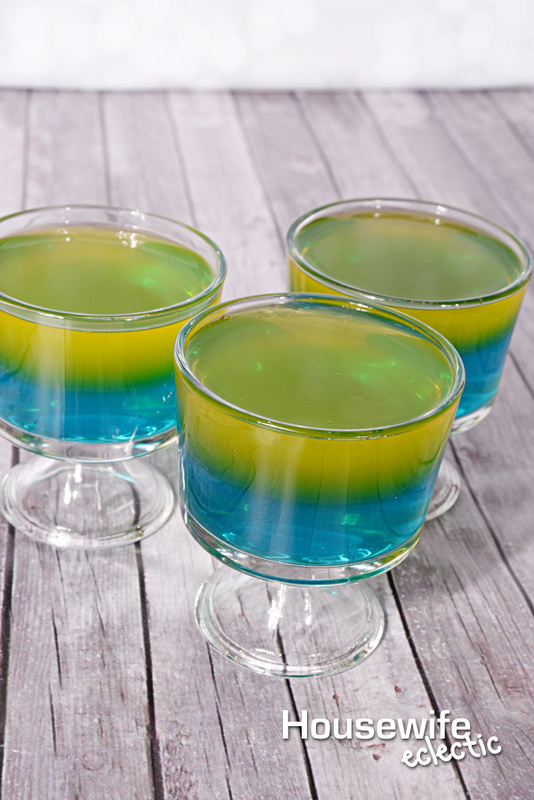 Leave the gelatin to set in the fridge for about four hours. Repeat the preparation instructions for the yellow gelatin and add a yellow layer of gelatin on top of the blue. Allow to set for about four hours. 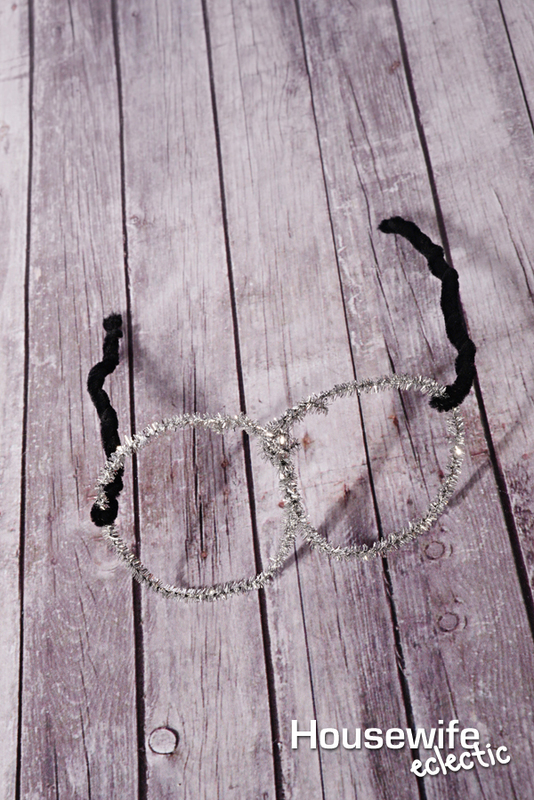 While your gelatin in setting up, make the pipe cleaner goggles. 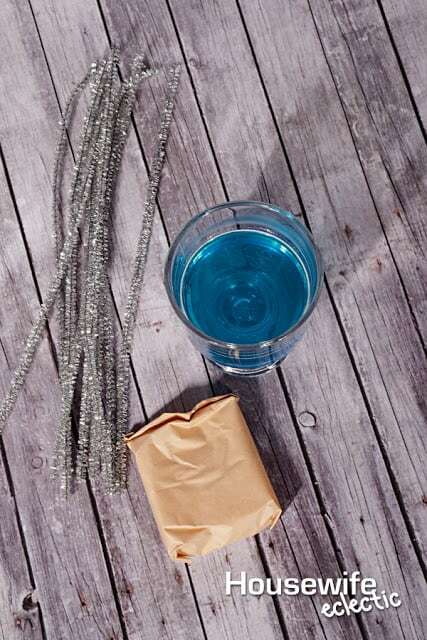 to make a pair with two eyes, take two pipe cleaners and make circles, leave a small amount of the piper cleaner out of the circle, as in the photo below. Place the circles right next to each other and twist the small extra pieces around both circles to hook them together. 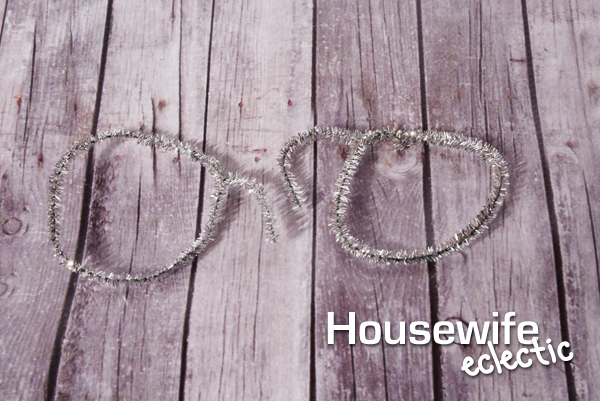 Fold a black pipe cleaner over the side of the silver circle and twist it together to stay. Repeat on the other side. When we were making these silly goggles, I ended up making a bunch of extra pairs for my crazy little minions to wear while watching Despicable Me. My girls have been waiting to bring home Minions, by Illumination Entertainment, pretty much since it hit theaters. They can’t wait to have our Minions movie night at home. There is going to be a lot of giggling and antics for sure! After your gelatin has completely set, pull it out of the fridge and top it with a swirl of whipped cream. Add your pipe cleaner googles, a couple sprigs of cute little minion hair, in the form of more pipe cleaners and then add the eye ball the center of it all. Now in just a week, you can sit down, put your feet up and enjoy these darling parfaits and Minions © 2015 Universal Studios. All rights reserved, all in your own home! We can’t wait. To see more amazing Minions project and just get more of your favorite little guys, tune in for a Twitter party on December 11 from 7-9 PM EST. RSVP at www.SoFabChats.com and follow along with the #MinionsMovieNight on Twitter. Pre-order your copy of Minions now, so you are ready for your own movie night! That is impressive! I think my kids would love something like this. They really like the Minions. We haven't seen the new movie yet, but it is on our list of things to do! These are too cute! I bet your kids love them! I might be able to give y'all a run for how much you love minions… 😉 love how cute these are!! These look delicious and so fun! We are getting excited for the new movie to come out on Blu-Ray! These look awesome! I can't have jelly because I am a vegetarian but once again your recipe is so creative. Such a cute and unique idea! My kiddos would gobble those up! Such a cute post! My kids LOVE minions! Such a fun post!! 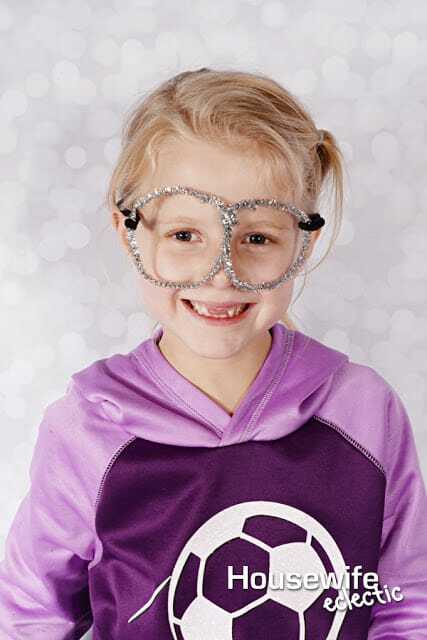 Your daughter is too cute!!! Fun project! love the minions, ok who doesn't love the minions? They are so cute! These are too cute! I preordered my copy yesterday. I can't wait to watch it. So clever and cute! I can't wait to introduce Minions to my boys, I have a feeling they'll love it. 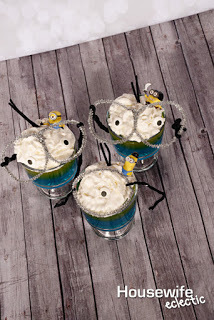 These look like the perfect dessert to watch Minions! My oldest is so excited for it coming out, he's let me know everyday! How fun is this. I'm so going to make these. Minion madness i tells ya. The minions are our favorite!! We love the movies, and Adam bought some minion goggles for Halloween this year haha (and he's obsessed with the app on his iPad). He will LOVE this parfait idea. Thanks!! We haven't gotten a chance to watch the Minions movie yet. My kids never really got into them. However lately I've been getting more requests for minion paraphernalia. 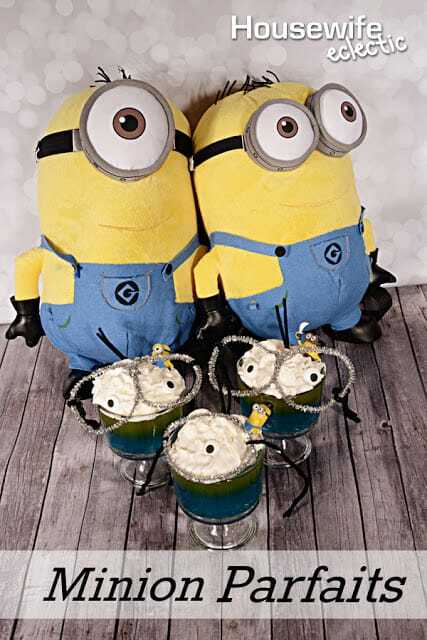 It might be time to plan our own Minion movie night and these parfaits would be a nice treat to snack on. How cute is that. I love it.